Until I was asked by a reader, it hadn’t occurred to me that I’ve never shared my recipe for homemade cornbread. I never realized so many people use a pack to make cornbread (not that there’s anything wrong with a pack, but if you don’t have one in your pantry you can easily make cornbread out of stock pantry items). I’ve been making cornbread since I was a kid. 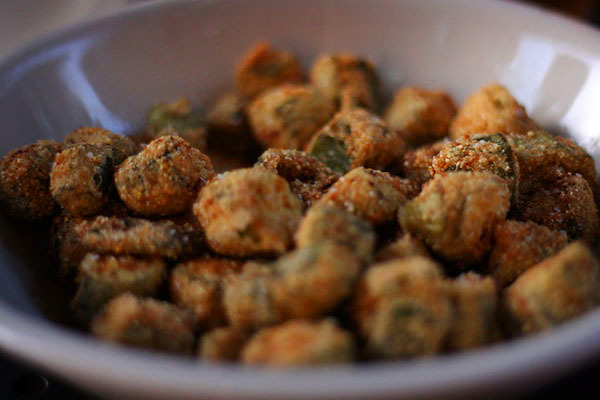 I’ll never forget the recipe my grandmother gave me over the phone to make hers. 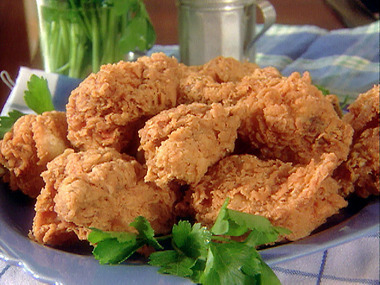 It was, 2 handfuls of cornmeal, 1 handful of flour, 1 egg, a pinch of soda and enough buttermilk to make it wet. I’ve added butter to my recipe for a richer cornbread but I still use my grandmother’s recipe when making cornbread for dressing at Thanksgiving. 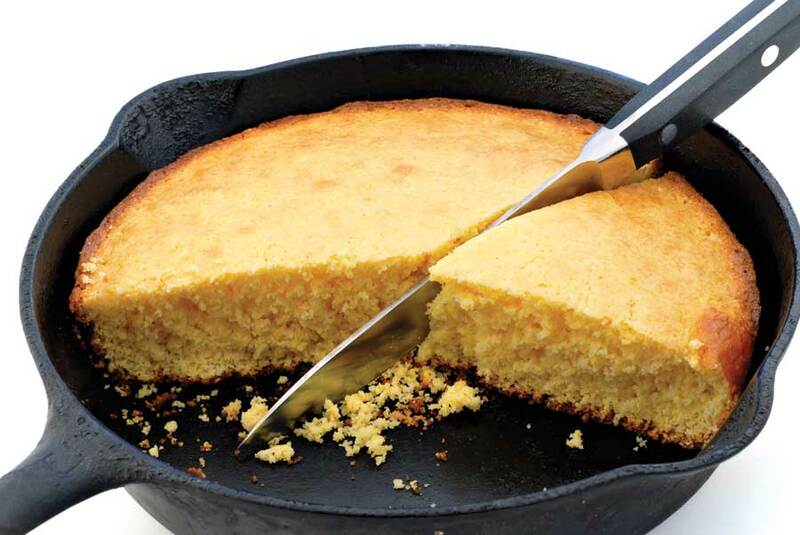 The trick to good southern cornbread is a well-seasoned cast iron skillet. I have several, but the 2 I use for making cornbread are an 8.5″ diameter pan (for enough for 2 people) or an 11″ diameter pan when I need enough for a few people. This recipe is using the smaller pan but I’ve made notes for the larger. If you don’t have a cast iron skillet, you can still make cornbread using a muffin pan, sheet pan, etc. The advantage to the cast iron is you get a nice brown crunchy crust where a sheet pan or muffin pan will yield a more “cake like” cornbread. Whip up well using a wire whisk. When the oven has preheated, remove the pan and pour the hot oil into the cornbread mix. Stir well to incorporate. Sprinkle bottom of skillet with cornmeal, lightly. This will ensure the cornbread won’t stick in the case that your iron skillet is not well seasoned. Pour the batter into the skillet. You will hear it sizzle as the batter is poured in. Bake at 400F for 20-30 minutes, until golden brown and set. If you’re using a larger pan, double the recipe. Also, if you don’t have self-rising flour and cornmeal, put a pinch (about a teaspoon) of baking soda in for a small pan or a couple of pinches for a large pan. I’ve got a pan in the oven right now to go with the fried pork chops, mashed potatoes and fresh green limas I have cooking on the stove. Nothing like a good country Sunday dinner!